This brush has been made with finest long silvertip hair from a rare breed of badger found only in remote high mountain areas in China. The knot is 22mm with a loft of 46mm. It has a firmer backbone compared with the New Forest 2221 which has now sold out. 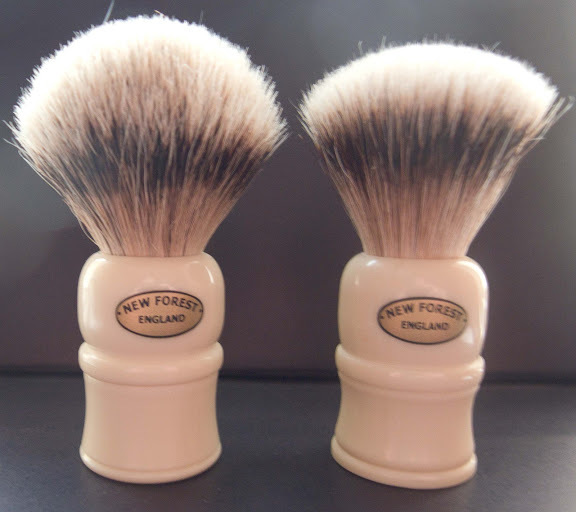 The alternative ivory handle was shaped by hand on a lathe and is 50mm high. The price of this brush is £40 including worldwide delivery. 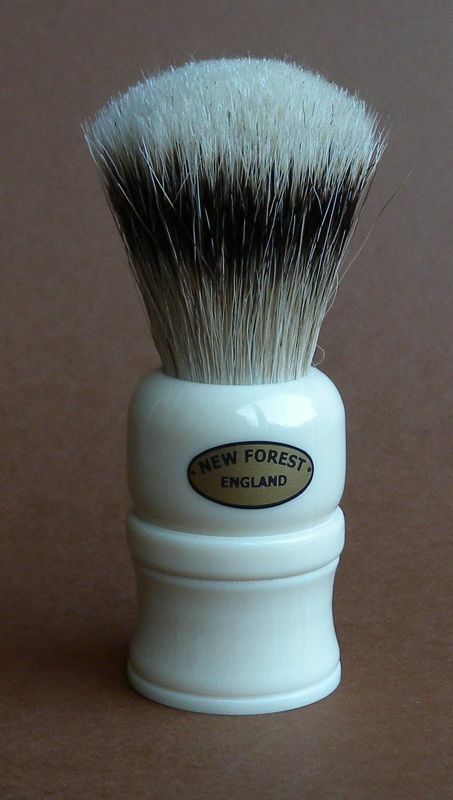 And at 8.50pm GMT there is just one of the New Forest 2222 brushes left! Might we get a picture of the NF 2222 bloomed? I'll add a pic from a review of the brush in the main post. At the time of writing this note, I have just one of these brushes left!